The property is located in a quiet location and only 5 minutes walk from the Village Square in Polis. Latchi Marina and Harbour is 5 minutes drive where you will find various water sport actives. The property is equipped with Air Conditioning/Heating throughout together with Ceiling Fans for your extra comfort. Electricity is payable locally. There is a twin bedroom and also a master double bedroom and there is plenty of storage space in the fitted wardrobes and drawers in both. The easy staircase has bannisters to both sides and there is also a downstairs cloakroom (toilet & washbasin) for your ease and comfort. There is a fully equipped kitchen with large lounge / dining area, which opens onto the a private patio garden overlooking the swimming pool, with farmers fields and views to the Akamas beyond. Lisdooney also has Satelite TV, Radio and DVD player. The private patio garden at the front of the property has a large dining table and chairs for al fresco dining, plus sun loungers are provided around the pool area. The balcony of the master bedroom also has a small table and chairs and overlooks the communal swimming pool below. The bathroom has a bath with over-shower. There is ample parking space just a few metres from the property. Long term letting will be considered up to 3 Months. My name is Kim I came to live in Cyprus 12 years ago with my husband. We started a cleaning business and we now have over 50 properties. The way of life here is great although we do have to work hard. Our Sons and grandchildren love to visit and we love showing them around the beautiful place and making memories. This lovely house offers you a home from home experience. The internet is a big benift and the large swimming pool on your doorstep is just perfect. There are sun beds and parasols for your use. The area is great for non car users as everything you need is close by. The complex consists of 16 little houses so there is never a crowd, the house is so comfortable and all your needs have been thought of. The family bathroom has a bath with overhead power shower, toilet & wash basin. Use of air conditioning is not included in the rental and will be charged at .24 cents per unit used and paid locally. Large bath towel and a hand towel for each guest. Small balcony from double bedroom. Fresh water large pool not heated. The townhouse is in Polis Gardens, great location, short walk to amenities although as we were there in January there weren't many restaurants open in the evening. The only downside apart from the bad weather we experienced (and that's nobody's fault!) is that the house generally needs updating. Kim, who manages the property, was most welcoming and helpful. We had a great 7day stay in your home. and would certainly recommend it. It was great coming in from a busy day and relaxing in your terrace overlooking the pool. Thank you for your positive comments, its very much appreciated and I'm happy that you enjoyed your stay. I would love for you to visit again sometime in the future. Nice , clean and peaceful holidays. Only the fridge was a litle to loud. Thank you for taking the time to comment on the property, I have already addressed the fridge problem so thank you for letting me know it was making a noise. I'm happy that you enjoyed your stay at the house and would love for you to visit again sometime in the future. Just returned from 10 days in lovely Polis. Property location is perfect about 15 minute leisurely stroll to town centre with supermarket 5 minute walk away. Was spotless and well equipped with everything you could possibly need. 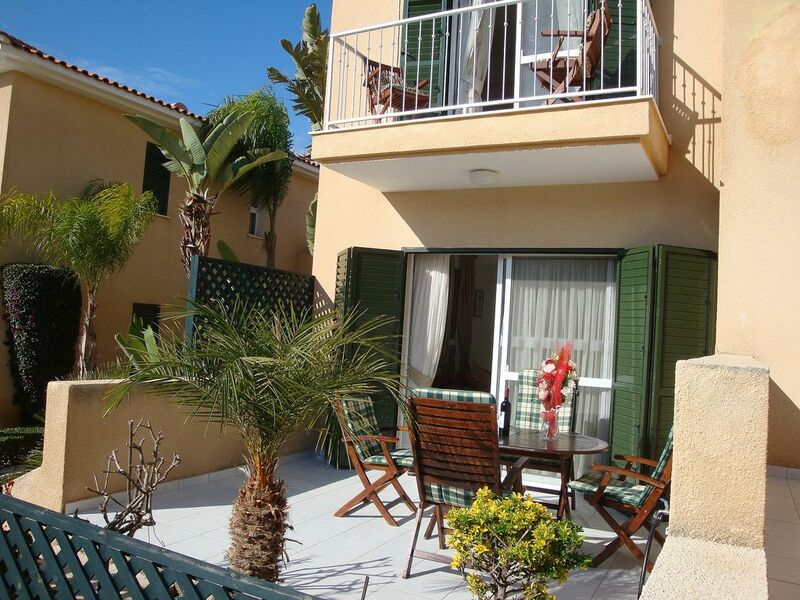 Pool on doorstep which was well maintained and quiet with plenty of sunbeds. Most of the time we had the pool to ourselves. Booking process straightforward and Kim always responded to any queries quickly. Would have no hesitation in staying at this property again. Thank you so much for your very positive review, I'm sure it will help future travellers in making a choice of where to stay in Polis. I'm so happy you enjoyed your stay and would love for you to return in the future. Your comments are very much appreciated and I'm sure will help other guests with making a decision ref where to stay here in Polis. I'm so happy you both enjoyed your holiday, and thank you for taking the time to write this positive review. I would love to welcome you back to the house any time in the future. excellent property and facilities well managed by Kim and Alan who provide an excellent service. unfortunately had to leave early.The property is great in a good location close to the village and facilities. we enjoyed our stay. I'm so happy you liked the house and thank you for your kind words. I do hope you will return sometime in the future as you will be very welcome. Polis is close to where Aphrodite is believed to have met her beloved Adonis. Further along the coast visit the Baths of Aphrodite where it is believed she came to bathe, a quiet and tranquil place to visit. Latchi Marina is about 8km from the property, here there is a variety of eating places where you must try the fish that has been caught that day and brought into the harbour. Or sit in one of the harbourside restaurants/tavernas and just people watch. Pafos airport is the nearest and takes aprox 40 mins to get to from the property. A car isn't necessary as we can arrange transport from the airport and all amenities are close by. On the coast road drive to Argaka stop off at the the "Half Way House" where the hospitallity is as wonderful as the kebabs, or stop off at the "Fly Again" Irish bar (do not judge a book by its cover or a bar by its name!) to enjoy good food topped with an excellent view of the sea and lovely sea breezes - Sunday Lunch with Jazz every other Sunday recommended. If you prefer to stay within walking distance Moustakallis, Mosfilos, Finikas, Arsinoe Fish Restaurant, Chix Chox are just a few to try. Further afield, you will not be disappointed with Pias in Kinousa, Petradaki or The Farmhouse in Kathakas or the Watermill on the Polis/Paphos Road just through Skoulli. A folder will be found in the property recommending places to visit and eat out - all tried and tested!. In Polis visit the local Museum of Marion Arsinoe, consisting of three exhibition spaces. Objects in one area derive from an extensive area around Polis and are chronologically arranged portraying its historical development from Neolithic and Chalcolithic to the Medieval periods. Booking Notes: Booking requires a 100.00GBP deposit and the full balance paid 8 weeks before departure. We also require a 100.00GBP refundable breakage deposit when paying your balance. Changeover Day: Change over days are flexible depending on arrivals.